The cold can be a treacherous adversary. It creeks into cracks and around corners. It seeks out those who are most vulnerable. The ones who are waiting at bus stops or getting snow in their boots while building a snowman. 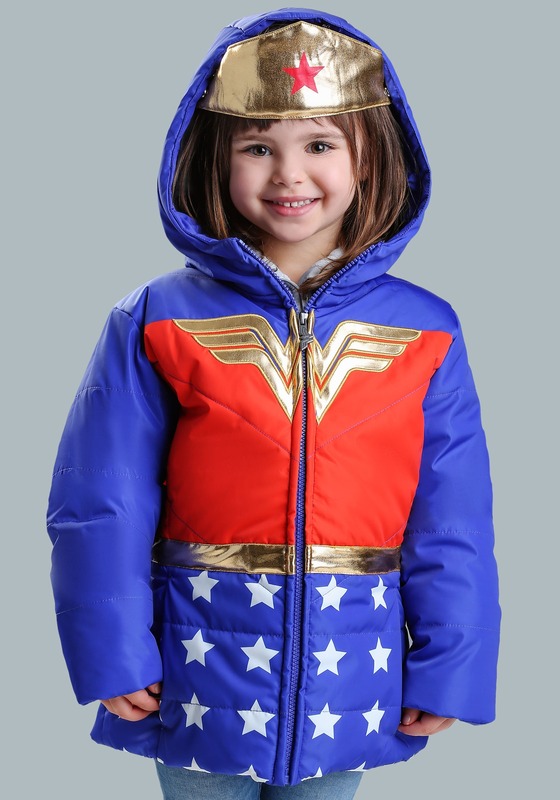 Now, your little one can stand against the wind with this hearty blue, red, and gold WONDER WOMAN™ coat! 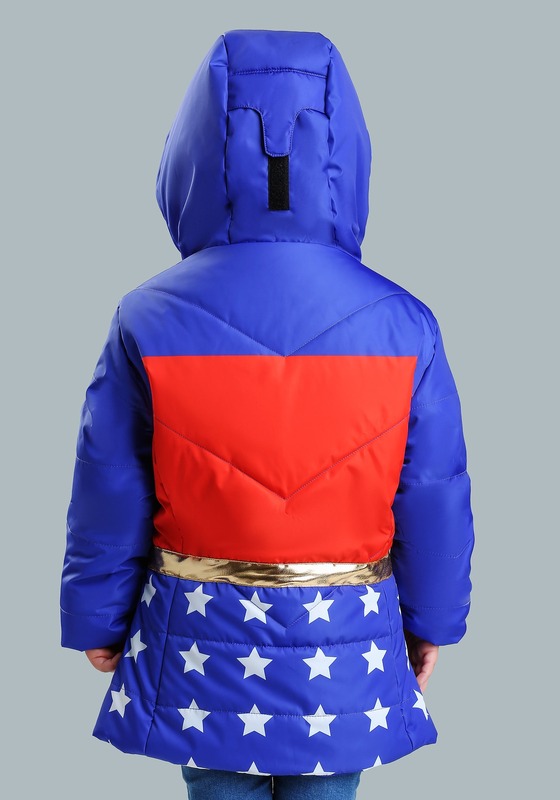 Your little one will have no problem subduing the chill when she's tucked into this puffy winter jacket. 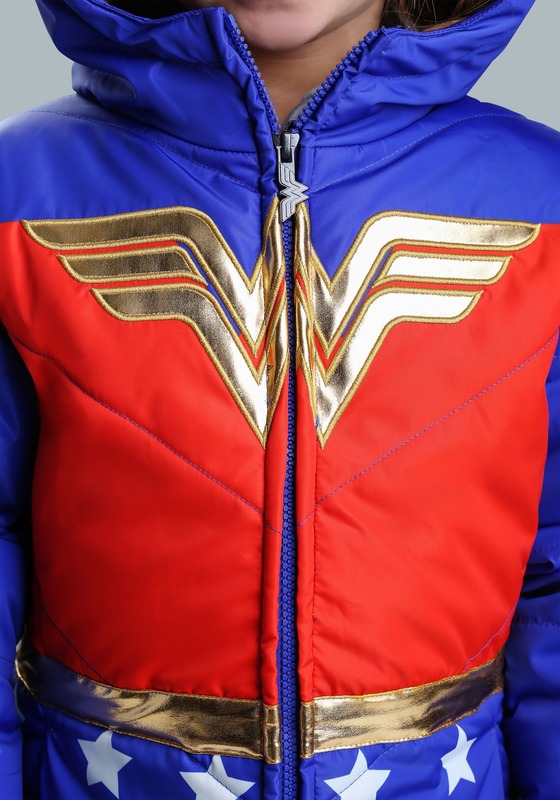 The thickly insulated coat is emblazoned with the Wonder Woman logo on the front as well as a golden crown on the hood. 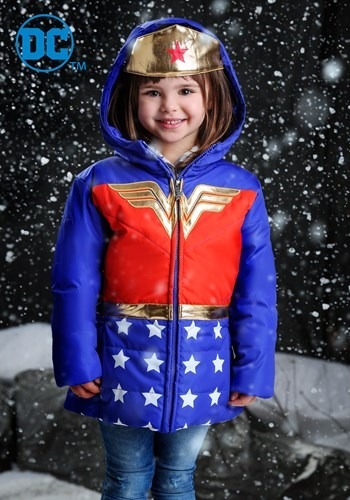 So, when the wind is howling at your door your little one will find the courage to face the elements with this heroic gear! 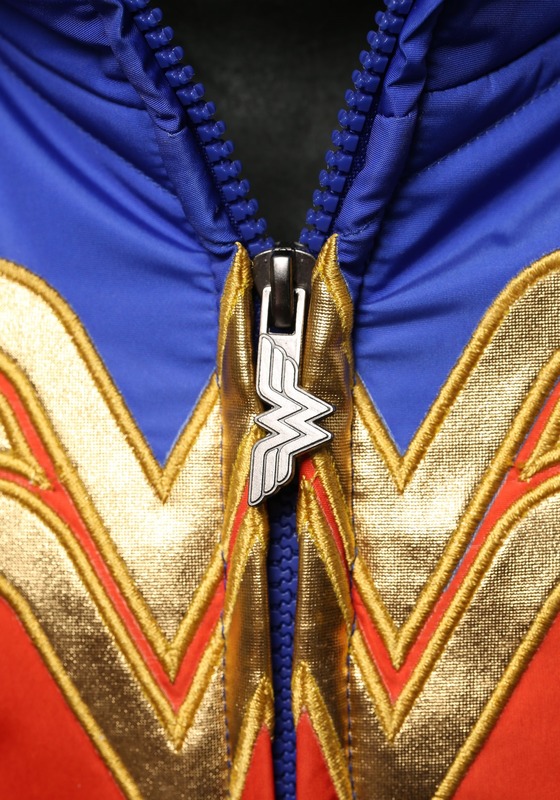 Front custom Wonder Woman zipper. 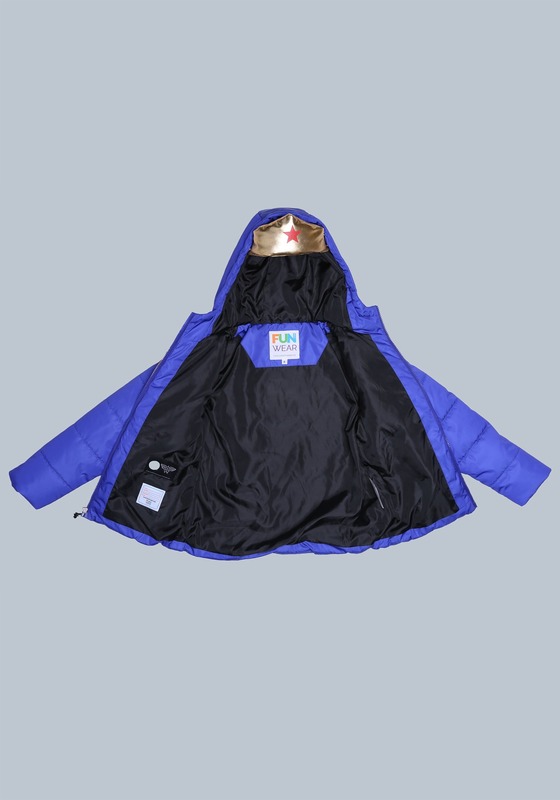 Gold foil crown attached to the hood.